Pyramid Series Proximity®, from Farpointe Data, sets the new benchmark for reliable and installable 125-kHz OEM proximity readers, cards and tags. Based upon proven contactless digital radio frequency identification (RFID) technology, Pyramid Series assures compatibility with the widest range of standard electronic access control systems by making use of industry standard interfaces, such as the Wiegand format. Further, the line offers unique Pyramid-only features, such as MAXSecure™ and fleaPower™. And finally, Pyramid Series™ offers the option of HID® or AWID® compatibility. For Technical Reference Documents please goto the Download Tab or click on the highlighted text. Perhaps the smallest, most inconspicuous proximity reader available, the single piece P-300 is designed to be mounted directly to metal door and window frames (mullions). Includes a four state LED (red, green, amber and off), an audio tone and both black and off-white covers as standard. Model P-300-H includes the option of HID® compatibility. Model P-300-A includes the option of AWID® compatibility. Ships with both black and off-white covers. Covers are available with Custom Finishes upon request. Incorporating stainless steel and Fiber-Tex®, a UL-listed bullet-proof material, the single piece P-400 is intended for use where crime and vandalism are a constant threat. Read range with the PSC-1 card is up to one inch (25 mm). Includes an audio tone standard. Model P-400-H includes the option of HID® compatibility. Model P-400-A includes the option of AWID® compatibility. Incorporating stainless steel and Fiber-Tex®, a UL-listed bullet-proof material, the single piece P-453 is intended for use where crime and vandalism are a constant threat. Includes a four-state LED (Red, green, amber, off). Model P-453-H includes the option of HID® compatibility. Model P-453-A includes the option of AWID® compatibility. Incorporating stainless steel and Fiber-Tex®, a UL-listed bullet-proof material, the single piece P-455 is intended for use where crime and vandalism are a constant threat. Includes a four-state LED (Red, green, amber, off). US Single gang wall box mount. Model P-455-H includes the option of HID® compatibility. Model P-455-A includes the option of AWID® compatibility. 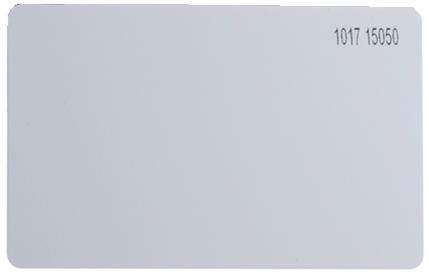 With its thin, sleek profile complimenting any building's decor, the single-piece P-500 is designed to be affixed to a standard USA single-gang wall switch box. Read range with the PSC-1 card is up to five inches (127 mm). Includes a four state LED (red, green, amber and off), an audio tone and both black and off-white covers as standard. Model P-500-H includes the option of HID® compatibility. Model P-500-A includes the option of AWID® compatibility. The single-piece P-530 may be mounted directly to European and Asian-sized single-gang wall boxes and includes a connector to simplify cabling. It delivers read ranges of up to 6 inches (152 mm) with a PSC-1. Concealing the mounting hardware, the P-530 ships with both black and white covers as standard and includes a four state LED (red, green, amber and off) and an audio tone. Model P-530-H includes the option of HID® compatibility. Model P-530-A includes the option of AWID® compatibility. 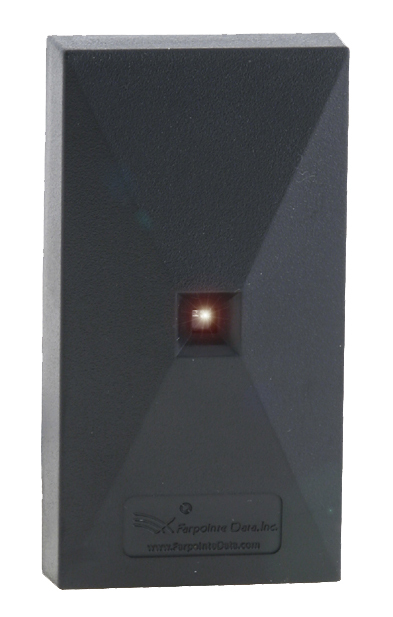 The P-610 Niagara Alarm Status Proximity Reader is a member of the Pyramid Series Proximity® line of OEM proximity readers, cards and tags. In addition to proximity identification applications, the P-610 includes either two or four (installer selectable) indpendently controllable LED’s that may be used to alert users to the status of the alarm system. 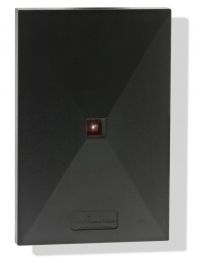 This unique design allows the P-610 to bridge the functionality between both alarm and access control systems. Model P-610-H includes the option of HID® compatibility. Model P-610-A includes the option of AWID® compatibility. 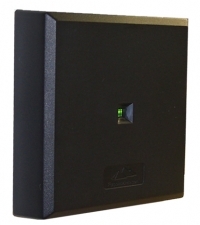 Designed to be mounted directly to standard USA sized single-gang wall box, the P-640 is ideal for applications requiring an access credential and/or personal identification number (PIN) and it delivers read ranges of up to 6 inches (152 mm). Keypad data is transmitted via either an 8-Bit Burst or 26-Bit Wiegand data format using a durable, non-mechanical capacitive technology. It includes blue backlighting and a continuously illuminated 5-key, both for orientation at night, tactile feedback and a raised 'pip' on the 5-key for use by visually impaired individuals. The P-640 ships with both black and off-white covers as standard. HID® compatibility model number is P-640-H.
AWID® compatibility model number is P-640-A. Delivering a longer read range, the Model P-710 is intended for applications calling for heightened levels of convenience, such as parking lots and high volume entrances. Read range with the PSC-1 card is up to 15 inches (381 mm). Includes a four state LED (red, green, amber and off), an audio tone and black cover. Model P-710-H includes the option of HID® compatibility. Model P-710-A includes the option of AWID® compatibility. 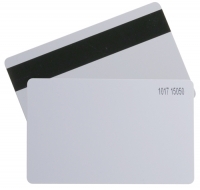 The PSC-1, nominally 0.059 inches (1.49 mm) thick and backed by a lifetime warranty, is among the thinnest clamshell-style proximity cards providing maximum read range. The PSC-1 can be programmed in any Wiegand format, including 26-bit Wiegand and may be used with all Pyramid Series™ readers. Model PSC-1-H is HID® compatible. Model PSC-1-A is AWID® compatible. Please click the highlighted link for further Reference Documents. The durable PSI-4 Image Technology Proximity Card is designed for the ID demands of the 21st Century. Backed by a lifetime warranty, this glossy finish, dye sublimation printable card is 0.046 inches (1.17 mm) thick. The PSI-4 can be programmed in any Wiegand format, including 26-bit Wiegand, and may be used with all Pyramid Series™ readers. Model PSI-4-H is HID® compatible. Model PSI-4-A is AWID® compatible. The dye sublimation printable PSM-2P, with a glossy surface, a nominal ISO-thickness of 0.031 inches (0.8 mm) is ideal as a corporate photo ID card. The PSM-2P can be programmed in any Wiegand format, including 26-bit Wiegand, and may be used with all Pyramid Series™ readers. Model PSM-2P-H is HID® compatible. Model PSM-2P-A is AWID® compatible. The dye sublimation printable PSM-2S, with a glossy surface, a nominal ISO-thickness of 0.031 inches (0.8 mm) including a 2750 Oe HiCo magnetic stripe, is ideal as a corporate photo ID card. The PSM-2S can be programmed in any Wiegand format, including 26-bit Wiegand, and may be used with all Pyramid Series™ readers. Model PSM-2S-H is HID® compatible. Model PSM-2S-A is AWID® compatible. Small "Fob" style credential, attaches to key ring, includes brass eyelet. 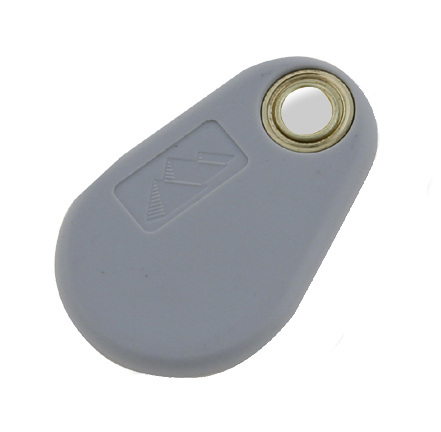 The model PSK-3 is a small proximity tag designed to be carried on a key ring, includes a re-enforcing brass eyelet, and is backed by a lifetime warranty.